We are pleased to announce that the 18th edition of the Ischia Advanced School of Organic Chemistry (IASOC) will be held on September 22-25, 2018. The Ischia Advanced School of Organic Chemistry (IASOC) is organized every two years by the University of Naples Federico II, Department of Chemical Sciences, under the aegis of the Division of Organic Chemistry (https://www.soc.chim.it/it/divisioni/organica/home) of the Italian Chemical Society (https://www.soc.chim.it/en). The aim of the IASOC is to bring together leading scientists of the highest international repute to provide an overview of the latest advances in the various fields of Organic Chemistry. Invited lecturers at IASOC are expected to provide highly stimulating lessons at advanced level in their own field of research, and to closely interact with the attendees on the occasion of platform discussions, poster sessions and informal meetings. In furtherance of its commitment to highest level education, the IASOC is mainly targeted to last year PhD students, post-docs and senior scientists or industry-oriented researchers who wish to be updated about enabling procedures and new tools at the cutting-edge of organic synthesis, as well as about emerging interdisciplinary areas of research at the crossroads of biology, medicine and technology. Speakers at IASOC are usually urged to provide a selection of their slides in advance for distribution in the conference room just prior to their lesson. Due to the intimate mix of basic and applied research, the scientific program of the IASOC is specifically designed to attract people from both research institutions and companies. Since 1984 the IASOC has been held in Ischia, the “green island” in the bay of Naples, world-renowned for its natural beauty, the mild climate, thermal waters and modern tourist facilities. However, due to the unusual concomitance of outstanding events in Italy in September, 2018, and to favor participation of foreign and Italian scientists to as many of them as possible, it was decided to change both the venue and the format of the IASOC. 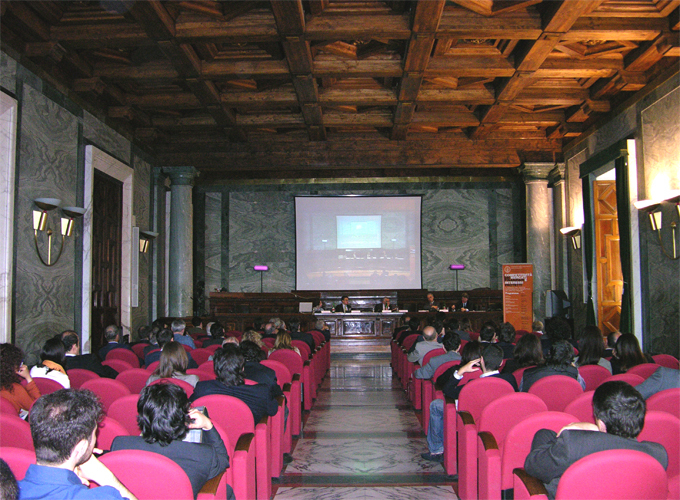 Accordingly in 2018 the School will be shaped on the basis of a lighter three-day format and will exceptionally be held in the beautiful and easily accessible “lungomare” (seafront) of Naples in the extraordinary venue of the Congress Center of Naples University Federico II- Via Partenope) (http://www.centrocongressi.unina.it/sala_partenope.php?on=3) and Hotel “Royal Continental” (http://www.royalgroup.it/royalcontinental/en/hotel). The main focus of the IASOC 2018 will be on “The Changing Landscapes of Organic Synthesis: Design, Methods, Targets”. The most efficient strategies, the main targets currently pursued in the fields of life sciences and materials technology, new approaches to smart molecules and functional systems will be illustrated and debated in a lively and informal atmosphere over a novel three-day compact format with ample space reserved to catalysis, supramolecular chemistry, bioorganic chemistry, medicinal chemistry, (nano)technology-oriented synthesis and molecular design. As in the past editions, the scientific programme of IASOC 2018 will consist of lessons delivered by acclaimed scientists from academia and industry, including Nobel laureates, poster sessions, workshops and open sessions. Presenting authors of selected poster communications will be invited to illustrate their results in 10 min flash communications during a specific session aimed at favoring interaction between young researchers and leading scientists. We believe that the international flavor of the School and the beauty of the 2018 venue will provide the best conditions for a full immersion in an exciting and stimulating journey at the frontiers of organic chemistry. We look forward to welcoming you in Naples in September 2018! IASOC 2018 – The Scientific and Organizing Committees and the Division of Organic Chemistry, Italian Chemical Society.